Share the value of your St. George’s Society membership with at least one family member, friend or colleague this year. 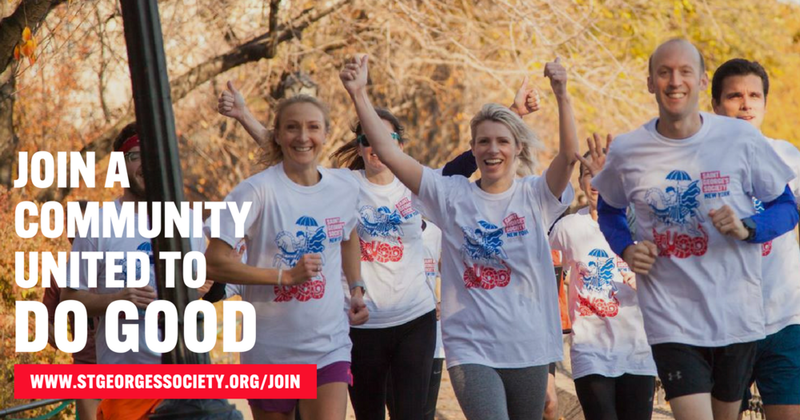 With every new member you introduce, you not only strengthen the Society’s charitable mission, but you also connect them with a vibrant and influential network within the British community in New York. Membership Application – Share the Membership Application. Membership Levels and Benefits – Here’s breakdown of the benefits at each membership level. Membership Perks Brochure – A selection of discounts and offers through our Perks Providers. Referral Tips – A few tips on sharing your personal experience with prospective members. Social Media – Graphics you can share across your social media networks. Email Template – Send a personalized email inviting a friend to join. Tell the story about why you're a member. Why did you join? What was the most compelling message about St. George’s Society that made you want to join? If there was a person who influenced your decision to join, why did his/her opinion matter? Provide examples. A positive testimonial is one of the strongest tools. Describe how membership has helped you advance personally or professionally via the relationships you have developed through St. George’s Society. Appeal to their goodwill. Do they know St. George’s Society is a charity that has aided people of British and Commonwealth heritage for nearly 250 years? Make sure they are aware of all the ways the Society provides life-changing support for people in our community. Let us help you close the deal! Need us to call or send more information to prospects? Simply email Hastings, our Communications & Membership Manager at hastings@stgeorgessociety.or for assistance. Download these graphics to share across your social media networks. Below is a sample email message you can copy, paste, and send to your contacts. 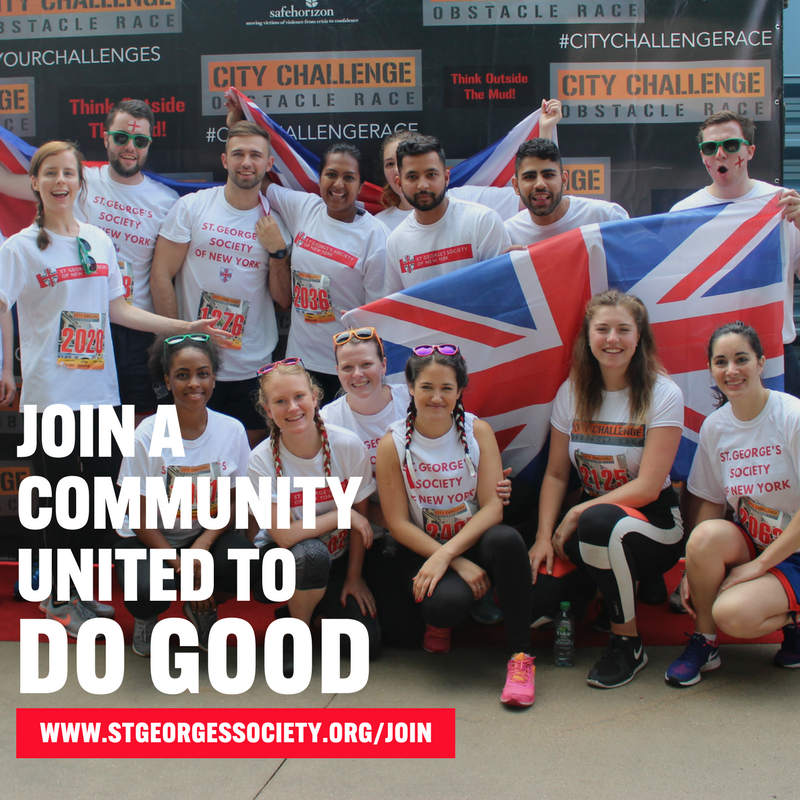 Strengthen the message with your own story about why you joined St. George’s Society and how you have benefited from membership. 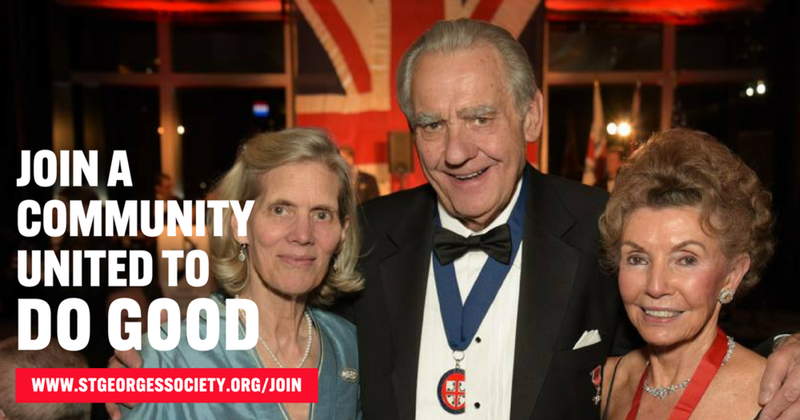 I'm a proud member of St. George’s Society of New York, a charity dedicated to enriching the quality of life for people in need through an established support system within the British and Commonwealth community of New York. The Society is supported by our vibrant membership community committed to our 249-year legacy of giving. There is strength in numbers, and as our membership grows so does St. George’s Society’s ability to expand our outreach to people in need. As a member, you’ll not only support the Society’s historic mission but also have immediate access to our diverse and influential network as well as a variety of other benefits. 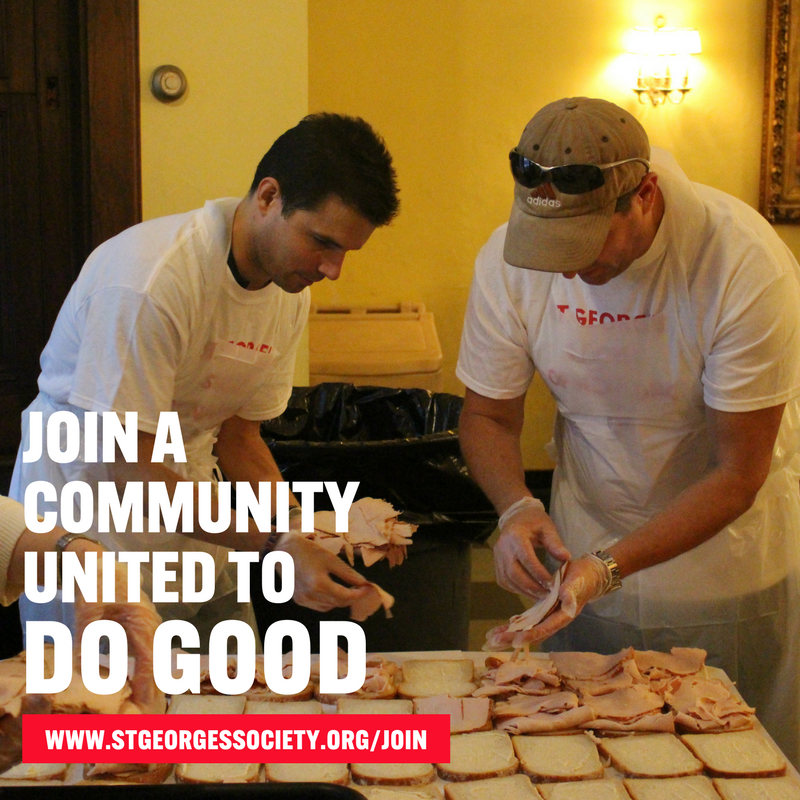 You can learn more about St. George’s Society’s mission, charitable programs and membership at www.stgeorgessociety.org. If you have questions, I would be happy to discuss the benefits of membership with you. Please don't hesitate to reach out.